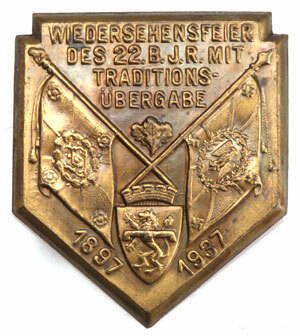 Veterans Reunion Badge of the 22 B.J.R. 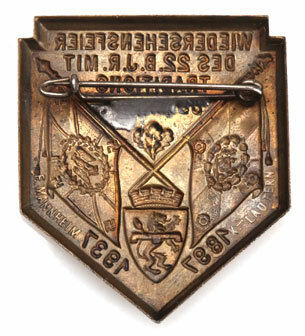 Veterans 40th Reunion Badge of the 22 B.J.R. Traditions Ubergabe: Bronze plated steel, 32 x 32 mm, F. Mannheim K-Lautern, light wear.